Does anyone have any information about this. Caliber 321, the same as the moon watch. It seems to be unique. No one knows anything about this or have seen a similar one. Honestly, wherever there's good pie. Case back have any codes on the inside or out? 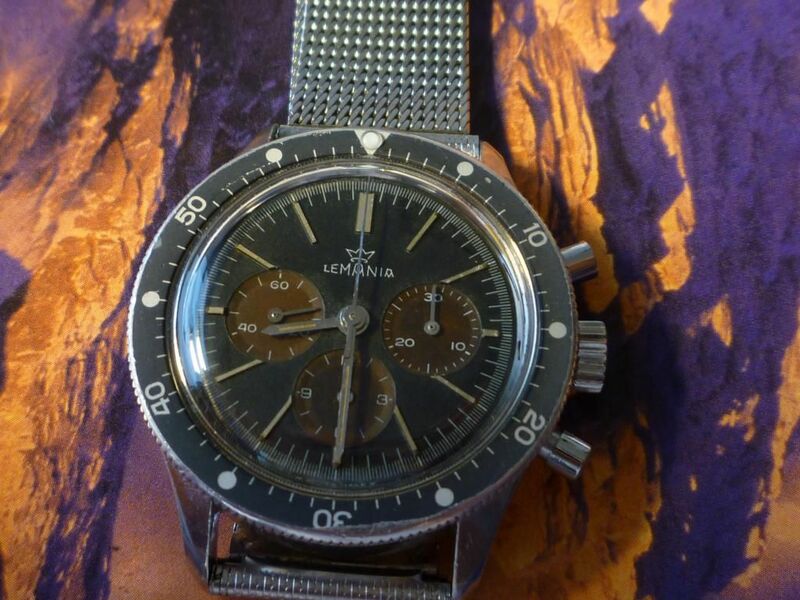 it looks good, an older 3 sub-dial lemania chrono. The 2 and 3 sub-dial versions were issued to militaries and more info can be found on those sites. 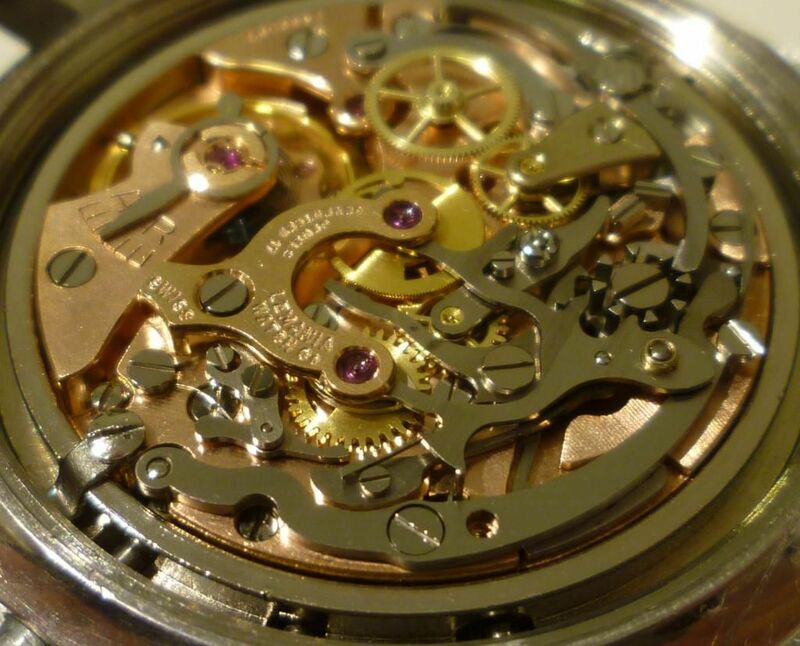 Lemania made movements as well as watches, for themselves and other well-known brands. A Speedy mixed with a dive bezel. Interesting combo, I'd wear it for sure! Lovely watch, seen a fair few like it but only with two sub-dials, all military. Seen a fair few three sub-dialers but only in plain cases. Also seen a fair few Lemania 27 CH 12 movements (the daddy of the 321!) but not with such a nice finish, they have all tended to be plain white metal coloured, this one looks very sweet..is it yours Anders? Unfortunately not, I help my colleague with details. Was offered to buy it for 250 US dollars when it was broken, but I declined. Had I known more, I had bought at once from him. But I'm happy anyway to help him with information. FSOT: LEMANIA RAF 1965 Mono Pusher - Military Signe - In Europe !! 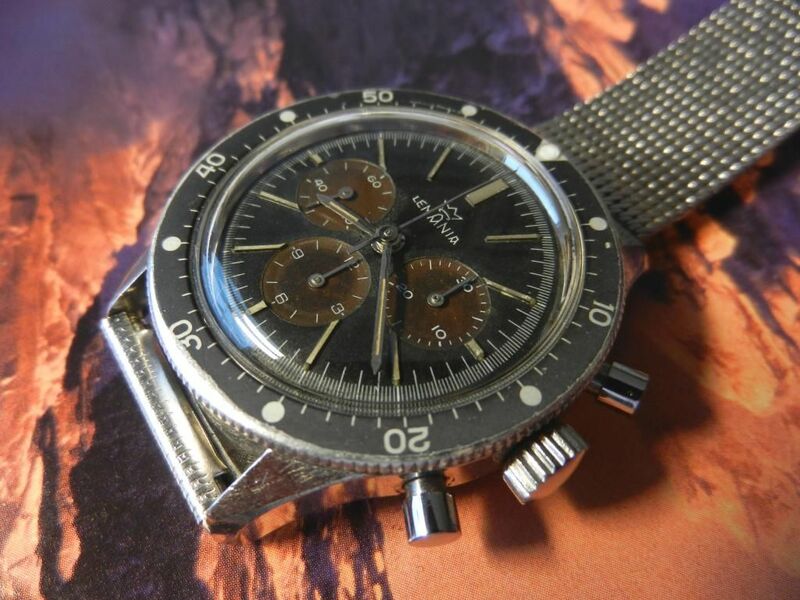 Square Zenith from 1965 that looks very like the ?New Vintage 1965" needs identification!